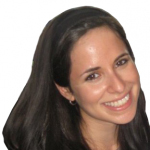 Miriam serves as Chai Lifeline's Director of Alumni Relations. As Director of Alumni Relations, Miriam oversees the alumni department and creates opportunities for alumni to reconnect and engage with Chai Lifeline/Camp Simcha. When not working, Miriam enjoys spending time with her husband, Daniel, and daughter, Julia. She is also a runner and ran her first marathon with Team Lifeline in Las Vegas in November 2015. Miriam received her masters degree in Diplomacy and International Relations from Seton Hall University in May 2013 and received her bachelor's degree in Political Science and Media Studies at the City University of New York- Queens College. Before coming to Chai Lifeline, Miriam worked at the Jewish Federation of Monmouth County as the Director of Community Impact. The Camp Simcha Alumni Department was created to continue to connect Camp Simcha Alumni and create opportunities for alumni to stay engaged and active within the Camp Simcha/Chai Lifeline organization.